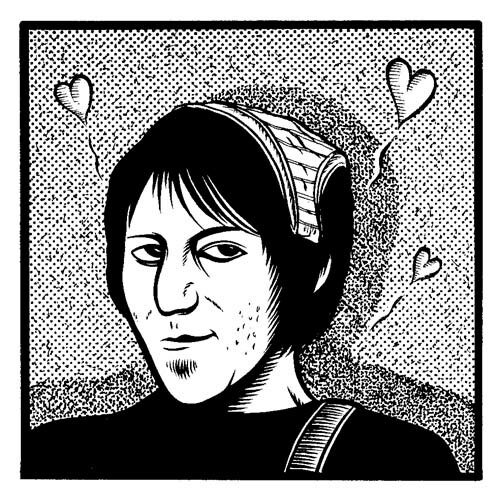 From the Stranger newspaper, Elliot Smith loves you. Pen and ink on illo board, approx. 4 x 4 inches.